1. The elastic suction crystal is high swelling prohibited items to be placed in the mouth, so as not to cause damage. 2. Please use under adult supervision. 3. Not store balls in the cold place. 4. Not shoot the eyes. Function:Non-fade,Non-Toxic,100% Biodegradable,Non-Flammable. A great learning tool,kids are busy for hours,having fun experimenting, Many uses for decoration for weddings, showers,centerpieces Ideal for candle,silk&cut flower arrangements,centerpieces and more. Less expensive and more attractive than marbles or stones Ideal for home decor,crafts,floral departments and more! Crystal paintballs are easy to made. How to make paintballs: Function: 1. Non-fade, non-toxic, 100% biodegradable, non-flammable. 2. A great learning tool, children are busy for hours, having fun experience. 3. Many uses for decoration for weddings, showers, centerpieces. 4. Ideal for sailing, silk & cut flower arrangements, centerpieces and more. 5. Less expensive and more attractive than marbles or stones. 6. Ideal for home decor, floral crafts, departments and more! 7. glass balls umre easy to be made. How to make balls: 1. 180 mL / water balls 200 2. Set paintball in water for about 3-5 hours. 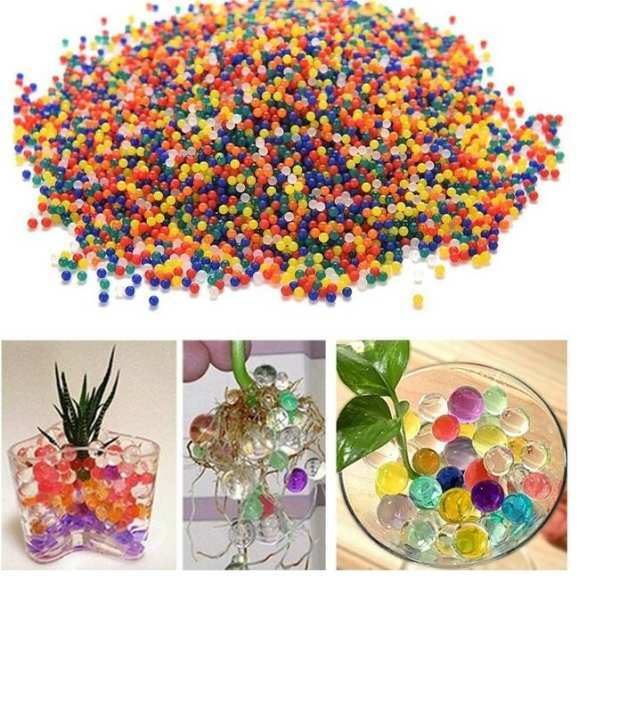 Color: multi-color Size: 9mm-11mm (aftering immersion in water) Note: The color of the water balls will be sent randomly Tip: If the balls could not grow as you want, you can use the warm water. 1.180ml/ water with 200 paintballs 2.Put the paintball into water for about 3-5 hours. Color:multi-colors Size:13mm-17mm(aftering soaking in water) Choking hazard: 1. The elastic suction crystal is high swelling prohibited items to be placed in the mouth, so as not to cause damage. 2. Please use under adult supervision. 3. Not store balls in the cold place. 4. Not shoot the eyes. after that remove them from water? ?